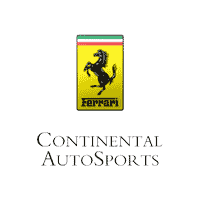 When you think of the Ferrari brand, undoubtedly the first thing you think of is its extraordinarily powerful lineup of sports models. 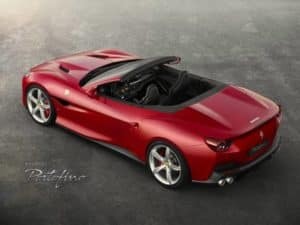 It’s newest GT model, the 2018 Ferrari Portofino is no exception to this, offering the powerful engine specs needed for a top-notch, thrilling performance. Here at Continental Ferrari, we’ll break down the powerful engine and performance specs available with the 2018 Portofino. The 2018 Ferrari Portofino is powered by a robust 3.9-liter V8 engine that produces incredible power while maintaining an efficient drive. With its V8 engine, the Portofino is capable of producing an outstanding 591 horsepower and 560 lb-ft of torque. With the power created by the coupe’s engine, it’s able to achieve an incredible performance that will be the envy of any road it drives on. Able to reach high speeds with ease, the top speed of the Portofino is an exhilarating 199 miles per hour. And not only can this incredible vehicle reach high speeds, but it can do so quickly as well. The 2018 Portofino is able to race from 0-62 miles per hour in an astounding 3.5 seconds. The incredible performance of the Portofino can be credited to its powerful engine and drivetrain, as well as its aerodynamic exterior design. This stunning car features a unique two-box fastback configuration and a retractable hardtop, which creates a sleek silhouette and sporty appearance. To learn more about this incredible model, be sure to check out the rest of our blog, as well as our informative online model research. What do you think of the 2018 Ferrari Portofino and its outstanding performance abilities? Let us know in the comments below!